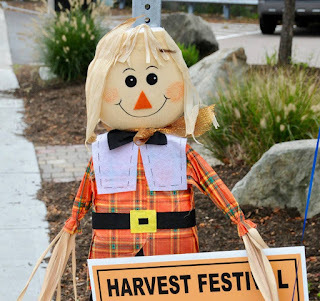 The Franklin Downtown Partnership is planning downtown Franklin’s Harvest Festival for Saturday, October 13 from 11 a.m. to 4 p.m. In case of rain the event will take place on Sunday, October 14. Main Street will be closed to vehicular traffic for the event which will feature music, entertainers, delicious foods, crafts, give-aways, sidewalk sales and more. For the first time, the Harvest Festival will also host a Fall Craft Beer & Wine Tent. In mid-August, the Partnership will post a link to register online through the FDP website, www.franklindowntownpartnership.org. Booths are free to 2018 FDP business members and $125 for non-members. The registration deadline for participants is September 20. Downtown business owners need to send in a registration to secure store-front space. A late charge of $35 will be added to registration forms received after September 20, and no registrations will be accepted after September 30. Booth space is expected to sell-out prior to the deadline so businesses are encouraged to sign up during August if they want to secure a booth. Sponsors are needed to help support the Harvest Festival. Sponsorship forms are posted on the FDP website http://www.franklindowntownpartnership.org/p/sponsorship.html. Alternatively, business owners can contact the FDP office. Questions about the Harvest Festival should be directed to Scott Martin, chair of the Harvest Festival, at fdpharvestfest@gmail.com.